An armed gunman was fatally shot in southeast Houston after the convenience store clerk’s son came to the rescue. Usman Seth was at his father’s local grocery store when a masked robber carrying a tactical firearm came into the store demanding his sister, who was at the cashier counter, give him all their money. Seth’s father handed him their store handgun and quickly shot the suspect, later identified as Sam Abugalboush, in the leg. Surveillance cameras caught the entire shootout on tape. Police arrived within minutes, but Abugalboush died at the scene. A grand jury will determine if charges should be considered against Seth for the shooting. 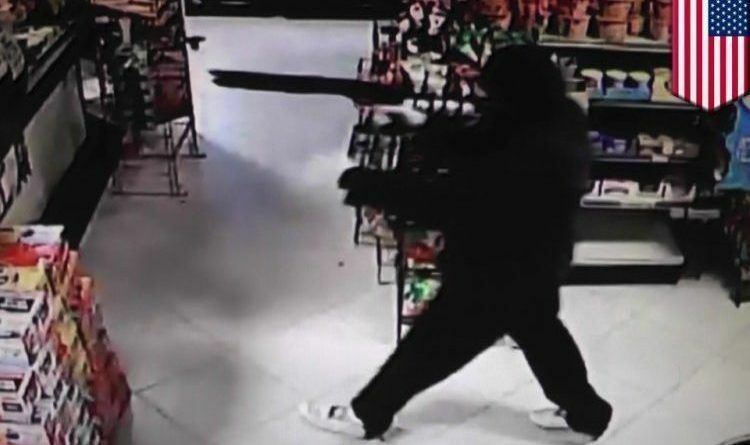 Seth’s dad gave his son the store handgun and rapidly shot the suspect first in the leg, security footage captures the pitched gunfight that resulted in the death of the masked gunmen identified as Sam Abugalboush. Once again a “good guy” with a gun, stops a “bad guy” with a gun; however, you’ll probably never see this video played within the national media! Spread this if you support the second amendment! Mike Pence’s Revelation What Prayer Is Like at The White House, Will Leave Some People Furious!